Advice to help you understand and mold your dog into a life-long family friend, establish pack order and shape good behavior and better habits. Breed type and function is first when judging or selecting breeding partners but every breed should shine in Obedience if trained according to its genetic heritage. Even as many breeds have improved in show ring pizazz, more than a few have lost the essentials of breed type as defined by temperament, intelligence, and activity level. In the quest for ever greater size and “presence” many large breeds have lost soundness and contrary to the breed standard, gained loose skin and wrinkles. 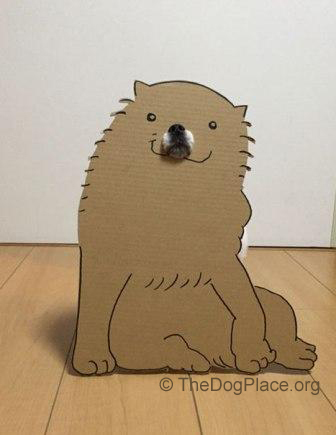 Some Toy and Non-Sporting breeds have become cardboard cutouts with little personality but tons of coat or exaggerated features no pet owner wants to deal with. Hound and Sporting breeds present glorious side gait but have lost the heart and stamina needed for the field. Showmanship is important but who wants a Rottweiler that accepts every stranger, a Pekingese who thinks he’s a guard dog, or a meek and mild Terrier? People chose purebred dogs because their size, behavior, and physical characteristics are predictable but prospective dog owners also want intelligent, trainable pets. So why do purebred dog breeders put sooo much emphasis on conformation and not enough on the rewards of Obedience training? Trainability Can Be Found At The Shelter! That is precisely is why so many people are looking at shelters and rescue for a family pet. They’ve been convinced by the onslaught of “adopt a pet” advertising and animal rights rhetoric - while AKC and purebred dog breeders do NOTHING to promote the predictability of purebred dogs! Once the epitome of class and social standing, purebred dogs are demeaned by animal rights and the politically correct levelers of society. Go to a public park or obedience class and tally purebreds vs. mutts. WHY? Because we dog breeders unconsciously tout beauty (breed standards) over brains (breed purpose) when most people just want lovable, healthy (!) dog. Not enough dog breeders attend Obedience classes so they fail to realize that most owners want to teach their dog some kind of “tricks” or at least, basic manners. I speak with decades of authenticity because before I was a breeder, I was an Obedience trainer. Our Doberman finished her CD degree in 3 shows and made me a “breeder” by whelping a record-setting litter of 16 puppies. Hella vom Asgard was blind in one eye due to an injury that in no way compromised her brain. We did traditional training in preparation for Hella’s obedience degrees but we most enjoyed the inventive part because that is what real dog training is all about. My husband started it. He taught Hella to mold herself inside a truck tire so that he could roll her around in It. 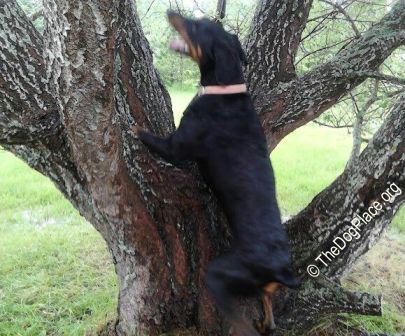 Bill then convinced her that climbing the split-trunk tree in the front yard was a fun thing to do. Admittedly he had to earn her trust to get her down. Our first show breed was the Rottweiler in the late 60s. Ch. Asgard Anna vom Kongslien, CD finished her obedience title in 4 shows and her championship (also owner owner-handled) in 3 shows. Was that a fluke? Stacked entries? Politics? Hardly! She was simply what a Rottie should be. 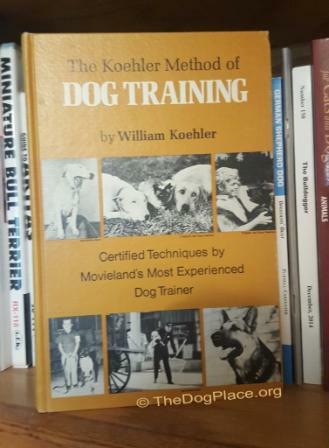 My inspiration was William (Bill) Koehler whose book The Khoehler Method Of Dog Training was illustrated with Bull Terriers! I still have his 1971 Howell Book House edition. We bought our first Bull Terrier from George Schriber and another from Winkie and proved that any breed can be trained <smile>. Some dogs are smarter than others, sometimes more than the handler or a trainer who doesn’t understand the breed. I say this as a former obedience instructor. Bill and I went well beyond Utility with our Dobermans and Rottweilers. Agility hadn’t even been thought of back then but Bill loved teaching “weird stuff” as much as the dogs loved “taking a break” to do it… We gave up on dog training when we moved on to the Akita, a breed not suited for formal obedience. Hopefully you chose your dogs because of that breed’s characteristics and purpose. If he isn’t an obedience star that’s okay as long as he exemplifies correct breed character and temperament. If you elect to do formal obedience training, you should realize that most obedience enthusiasts today don’t know or care about the Breed Standard. Likewise we should accept that many of today’s AKC breed judges don't know diddly about Obedience. If you chose a dog in the Non-Sporting or Toy Group he should do well in Obedience as most have been bred as by-your-side companions. Breeds in the Herding, Hound, Sporting, Terrier and Working groups were generally developed for specific purpose, often independent of direction or close proximity work but they can and should easily earn a basic degree. 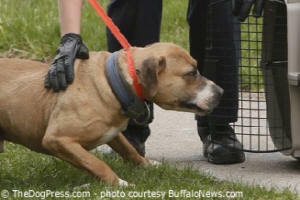 What to do when Animal Control shows up; advice and resources. Teaching your dog is easy. 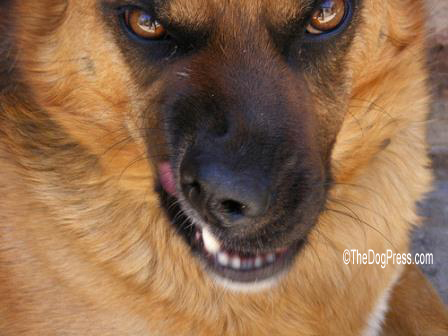 Answers for dog owners, why dogs bite, bark and more.